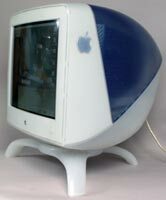 We will be selling off all of our Apple, Mac and iMac collection from now till Christmas. So Keep Checking Back. 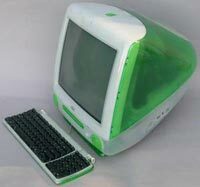 LIME Apple iMac G3 DV and LIME Keyboard. 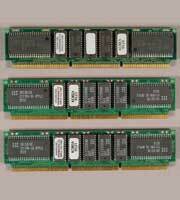 The PrintShop, Photoshop Elements, Microsoft Office with Word, Powerpoint, Exel and Entourage, and more. Hard Drive: 10 GB Monitor:15"
Original Lime Green Keyboard. Includes Mouse and Power Cord. In excellent working condition. Some minor scuffs, scratches on case. Pick up in New York City. 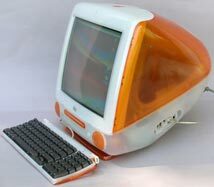 TANGERINE Apple iMac G3 DV and TANGERINE Keyboard. 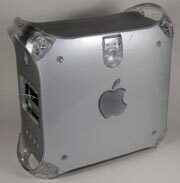 PowerMac G4 Mirror Door Case and some parts included.